For Canadians that travel extensively to the USA, you’re probably familiar with T-Mobile. Their pay as you go options are popular with unlocked iPhone owners (Roam Mobility also uses their network), and increasingly so as their 4G HSPA+ availability continues to expand across major U.S. cities (versus their existing 1700Mhz 3G HSPA+ network, which offered 2G speeds to iPhone owners; this network is being transitioned to faster 4G LTE). Today, the company finally announced it was receiving the coveted iPhone on April 12th, six long years after Apple’s original smartphone launched in 2007. What makes this launch unique is the company will receive its own version of the iPhone 5 to accommodate the network’s AWS LTE spectrum bands, plus support HD Voice, something not yet supported by other U.S. carriers (Rogers, TELUS and Bell have supported HD Voice for a while now). T-Mobile also introduced a new pricing plan without contracts for the iPhone, which is an industry first. 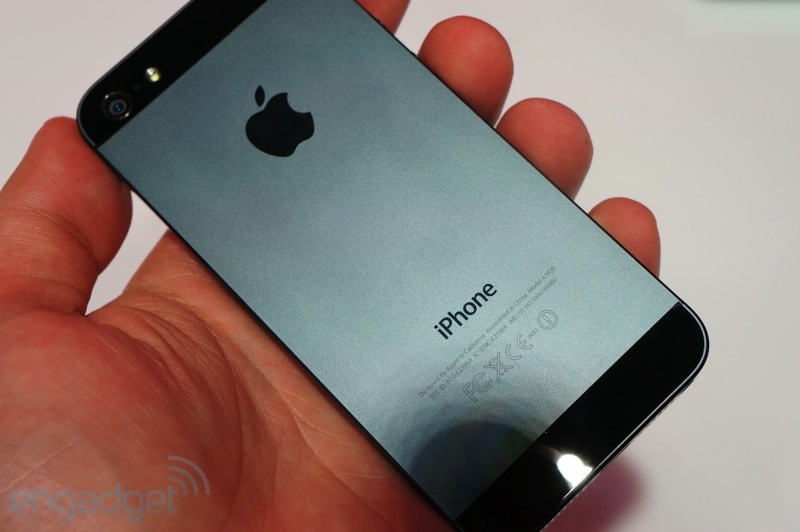 Using a 16GB iPhone 5 for example, customers will buy devices outright. They will pay $99 up front, then $20 per month afterwards for 24 months, for a total of $579 in the end (unlocked iPhone 5 units cost $649 US; in Canada it’s $699). The company will also receive the older iPhone 4 and iPhone 4S in various markets. The former will be priced at $14.99 down, then $15 per month for 24 months ($374.99) and the latter at $69.99 down, then $20 per month for 24 months ($549.99 total). As for plans, T-Mobile’s Simple Choice Plan starts at $50 per month for unlimited talk, text and 500MB of 4G data, with an extra 2GB of data available for $10/month, or unlimited for $20/month. Last December, Apple confirmed T-Mobile would carry its products this year and it has finally arrived. This AWS-band iPhone 5 will work on WIND Mobile and Mobilicity (and Videotron), but will be limited to slower 3G speeds. The bigger question–will these new wireless entrants ever get the chance to launch the iPhone on their networks (even if it was just the iPhone 4 or iPhone 4S)? The lack of iPhone has been the achilles heel of these new networks, something the ‘Big 3’ have benefited greatly from. Apple does mandate strict requirements for networks when it comes to the iPhone, so if anything AWS-LTE support would be required first, plus a sizeable customer base. With WIND Mobile rumoured up for sale, the company’s future remains up in the air. If the iPhone ever makes its way to our newer wireless entrants, it could be a wireless industry game changer. For those paying attention, that’s the same model number as AT&T sells today, but Apple’s enabling support of the AWS bands from the factory on the new guy — and sadly, Apple affirmed to us that it’s not something that can be enabled via a simple software update for A1428 iPhone units already in circulation. To say that another way, existing iPhone 5 owners on AT&T cannot simply apply a software patch to have AWS support added. You’ll need to buy a new phone next month. Also, Apple will soon be phasing out existing A1428 models, and sell these new tweaked AWS-enabled phones instead, which will work on AT&T’s LTE network. Let us know if you’re going to buy an unlocked T-Mobile iPhone 5 from the USA. It should work on LTE networks here in Canada, plus AWS-3G on WIND Mobile, Mobilicity and Videotron.